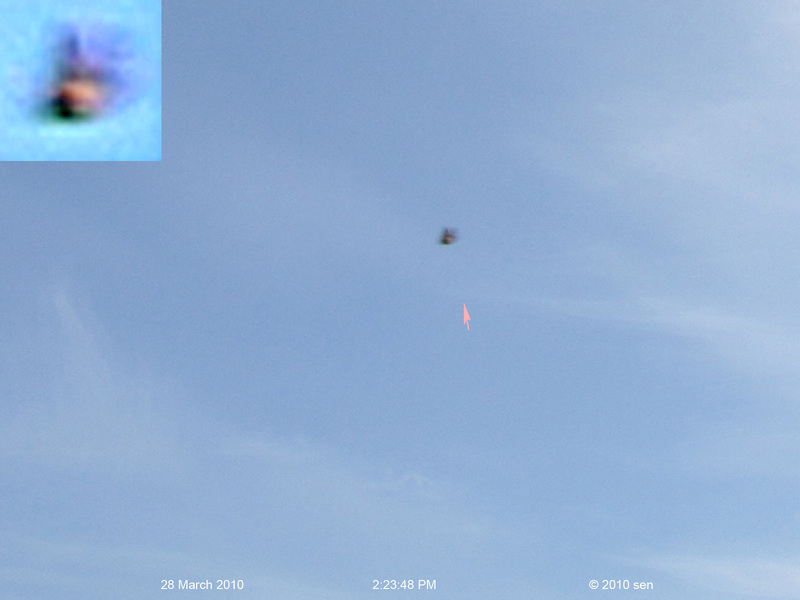 This Zoomed-in ufo photo was taken on 28 march 2010 2:23 48 PM. It shows a pink colored ufo surrounded by a plasma energy field. this year there are many red and blue colourful UFOs that have come in groups. This is different from the last few years.